Our Moon sign is an indicator of what we need – what we need to feel nurtured or secure, it’s what comforts us. It’s our emotional nature within the safe folds of family and trusted friends, it’s the personality that comes out when we’re relaxed at home. Our moon sign shows how we feed ourselves – literally and emotionally! It’s how we nurture and feed others. People born when the Moon was in Sagittarius are broadminded. They can be philosophical and opinionated, they’re not afraid to speak up! Gregarious, fun and adventuresome they like to clown around. We decorate according to a number of factors, including our Sun, Venus and Rising Signs, however, as the moon governs ‘home’ it can reveal a lot about how we make ourselves feel at comfortable in our nest through our unique personal style. People with Moon in Sagittarius are at home with travel, and might have maps or pictures of far distant places adorning the walls. They need to feel free so will want a reminder of the great adventures that are waiting for them, just a hop skip and a jump away! The exuberant nature of Moon in Sagittarius is drawn to colour, and touches of bright, optimistic shades will work best for this sign at home. The also value wisdom, so you can expect to find texts with ancient knowledge lying around, feeding the grey matter. With a nod to spiritual philosophy, the luxurious summer mansion shaped like the Eye of Horus belongs to Naomi Campbell, a gift from her boyfriend. 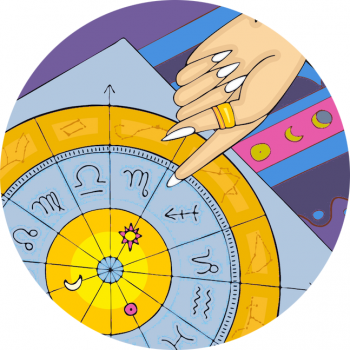 Discover more about the moon and see the other styles of the zodiac signs, here.